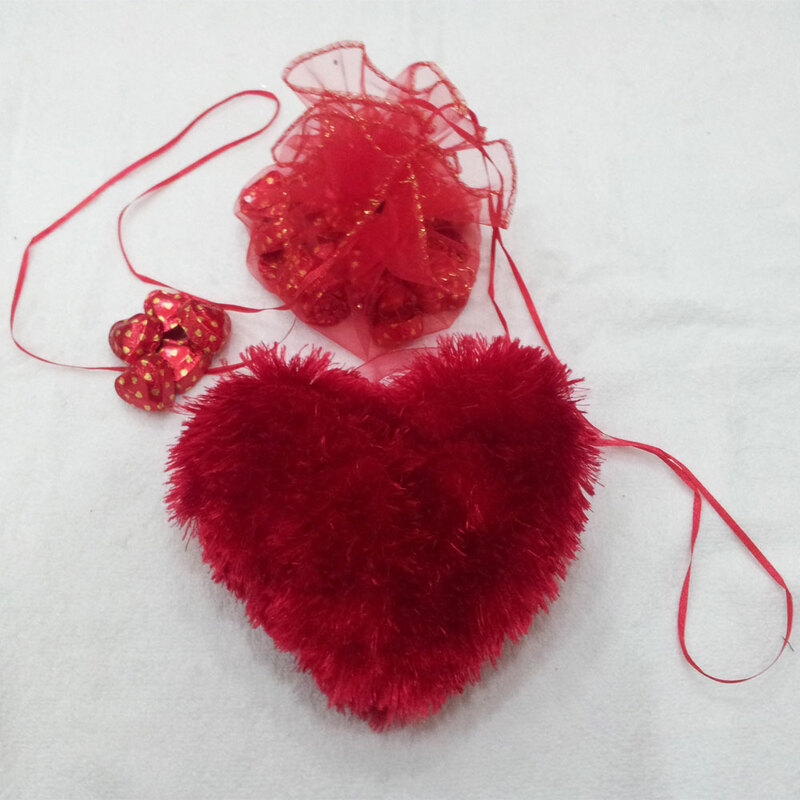 This small red heart shaped potli adorned with a knot tied with netted fabric is a thing you would love to behold forever. This small red heart shaped potli adorned with a knot tied with netted fabric is a thing you would love to behold forever. After you Read More..and your beloved have shared the 10 small and 1 big heart shaped chocolates contained inside, she can use to store small treasures of love. Show Less..